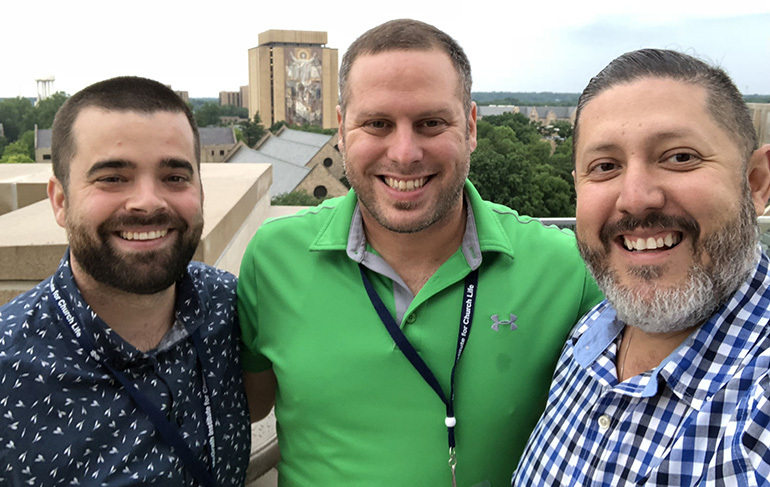 Eric Beltran, right, poses with two other faculty from Immaculata-LaSalle High School at Notre Dame University, where they attended seminars in science and religion this summer. From left are Nicholas Shaheen and Michael Pena. MIAMI | Not that they’re superstitious at Immaculata-LaSalle High School; but for their faculty, three was the magic number for getting into a prized seminar program at Notre Dame University. This summer, seven ILS teachers studied at Notre Dame’s McGrath Institute for Church Life. Working with other teachers from around the country, they studied links between science and religion — and devised lessons to convey those links to students. 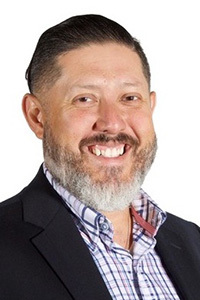 Eric Beltran is chair of theology at Immaculata-LaSalle High School in Miami. The institute “integrates the disciplines of science and religion in ways that nourish the imagination,” according to the university. It presented two tracks: a lecture and workshop series, and a lab course like that in high schools. Immaculata-LaSalle followed suit in selecting its two teams to attend Notre Dame. Its leaders were Eric Beltran, chair of ILS’ theology department; and Rebecca Shaw, chair of the science department. ILS had tried twice before to enter the Notre Dame seminars and been turned down. This year, persistence paid off: It was the only school whose faculty were accepted to both programs. Monica Orelle, ILS dean of faculty, said the school already encourages dialogue across specialties, among students and faculty alike. Before going to Notre Dame, the teachers tackled a lot of advance reading — four books, according to Beltran. Shaw’s materials included readings from the Bible and letters from popes on science and religion. 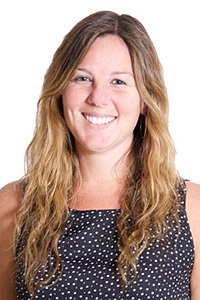 Rebecca Shaw is chair of science at Immaculata-LaSalle High School in Miami. At the university, they joined a total of 120 fellow instructors from other schools. On June 17-22, Beltran and three other ILS teachers attended lectures by scientists and theologians, as well as workshops of people in the two groups. His team chose to compare scientific and exegetical processes (exegesis is Bible interpretation). As a result of the study, the science and theology teachers came to appreciate each other’s disciplines better. On June 24-29, it was Shaw’s turn. She brought two other ILS faculty to a program of experiments at a high school laboratory near Notre Dame. The approach was more oriented to STEM, which blends science, technology, engineering and mathematics. She found it an eye-opener to see how her theological fellows reacted to simple high school experiments like “flame tests” — burning compounds, then analyzing the colored flames to detect their components. It’s one of the more memorable tests for students, she said — as it was to the theologians in the lab. 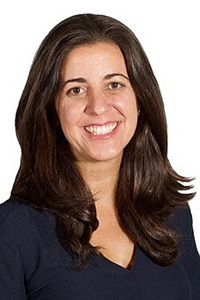 Monica Orelle is dean of the faculty at Immaculata-LaSalle High School in Miami. Although the school year has just begun, the Notre Dame seminars are already yielding fruit. Students and other teachers have asked about the experience, and the seven ILS teachers have shared what they’ve learned — often from dozens of pages of notes. The questions have come from people in art and English as well as science. Then again, their fellow teachers have always stressed Catholic identity, Beltran said.